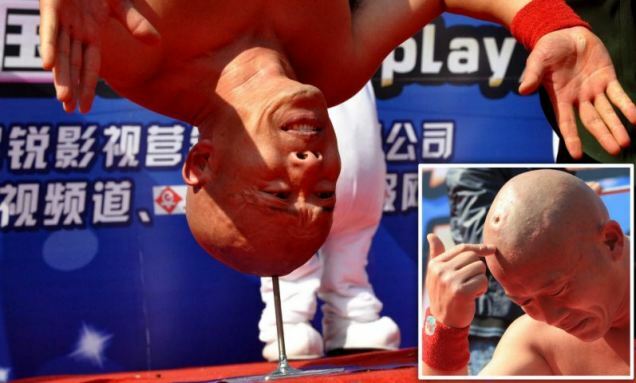 Incredibly this Chinese man can balance his whole body on a nail. 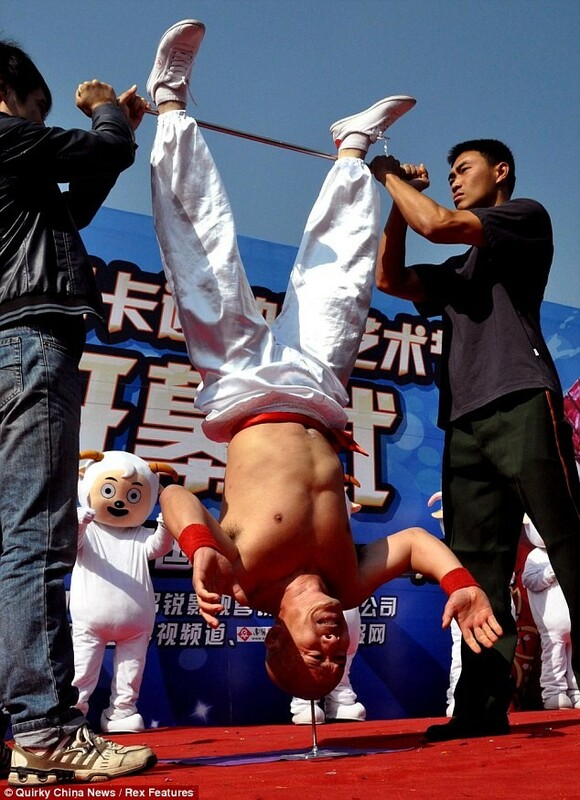 47-year-old stuntman Li Xin has been practising the stunt for more than 20 years. He can hold the pose with his legs up against a bar for more than 10 seconds – far longer than most people would be able to do a simple headstand. The full weight of his 10st 7lb body bears down on the spike, putting intense pressure on his skull. But all he is left with is just a small indentation on his head afterwards.